During almost three decades of working in human services, I have seen the term building bridges gain popularity. Its a powerful metaphor. Bridges exist in all countries and transcend cultural barriers. The image of a bridge requires no explanation. The image speaks the intent. We are crossing over, transcending the distance between us. l am leaving my side of the bank and arriving at yours and We are no longer limited by the circumstances that separate us. It isn’t surprising that both the visual image and the language of bridge building has become an effective analogy, a visual metaphor for getting along with our neighbor, resolving issues and conflict and walking into new territory together, our differences transcended, bridged by understanding and change. A few years ago I came across a symbol that captivated my attention and spoke to my ‘inner bridge-builder’ with a clear message that bridge building, no matter how well intended, has its origins in the dual paradigms of separation and difference. The symbol that stetched my perception is called a Mandorla. The word is Italian for Almond and that is the shape that is created when two circles over lap. When we are developing a process that involves building a bridge, we begin from a point of separation and strategise how to transcend the distance between myself and the other, us and them by seeking to unite two distinctly separated sides. With the Mandorla we can see that two whole and complete circles retain their unique identity and between them create a new, unified space where those two circles meet. The place where we are already connected. This is the place where we all share commonalities and experience our pre-existing connection. We breathe the same air, we have the same needs for food, shelter and warmth. As human beings we share a mutal need for safety, love, belonging, purpose and a need for meaningful stories and sense of place in the world. These are core human needs that form the foundation of families and communities across the planet, regardless of the different cultural, economic or political circumstances of where we live in the place we call home. 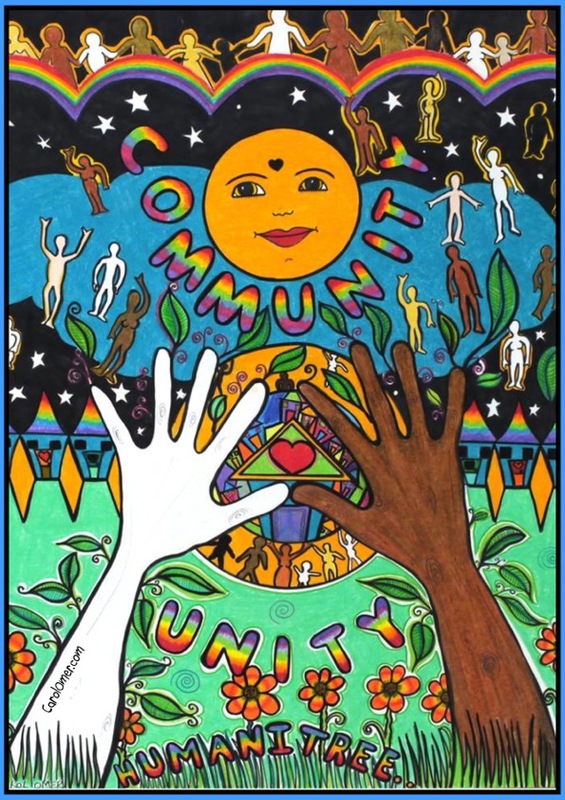 If I am facilitating a workshop for young offenders in juvenile detention or visiting a rural Aboriginal Community for a womens camp, the Mandorla affirms our connection. I am not entering their community or communal space wondering how I can build a bridge between us, instead I show them my Mandorla poster (see below) and ask if we can spend a bit of time looking at where we are connected. Once we get past the obvious we are all humans, a whole range of possible shared experiences and commonalities come forth. You are left handed like I am / My football team is / I share your same views on racism / how can we make a difference together? 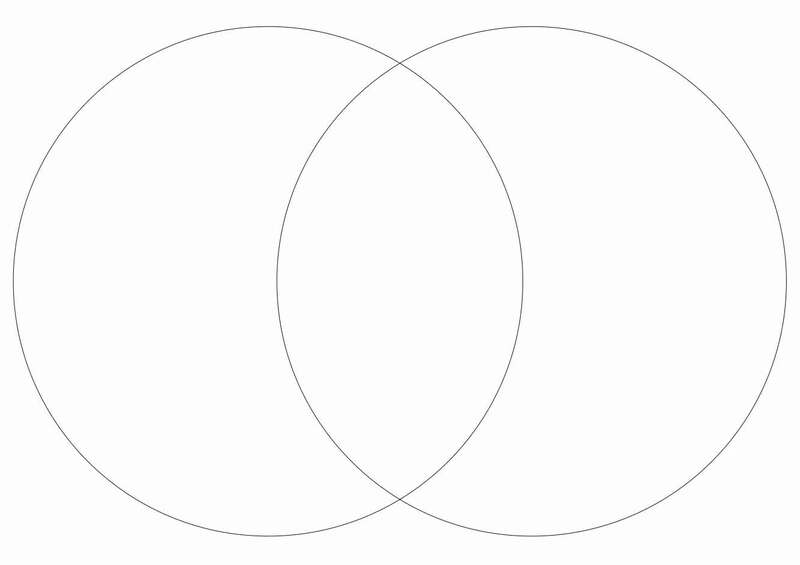 As we explore our commonalities we also look at the space outside of the Mandorla, that large expanse of the two separate components of the intersected circles. This is the place where we learn from one another, a place where our differences are recognised within the experience and recognition of our connection and not as somewhere we need to get to by crossing the bridge of our differences. I created a poster for the ART of Change program to show my interpretation of the Mandorla. I always show the poster with the wildly enthusiastic expectation that when people learn about the possibilities of Mandorla for the first time they too will have an ah-ha! moment and realise that the time we spend thinking about, talking about & building bridges is time taken away from sitting in the Mandorla of our connection & sharing in the joy of learning & growing together through one another’s Stories.